Readers of 10,000 Birds are probably uniquely qualified to understand that sometimes life gets in the way of birding. During the twenty odd years that I’ve considered myself a birder I’ve had several ‘dormant’ phases where I sometimes didn’t lift my bins to eyes for several months. 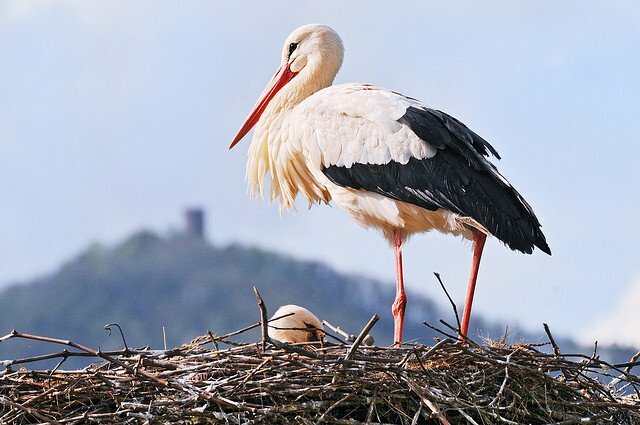 It may have been work, relationships, kids, weddings, shopping or a myriad of other reasons that prevented me from birding but it was always there bubbling under the surface. During this time I worked for a manufacturing company that like many other western manufacturing companies gradually became a sourcing company rather then go bust. I was lucky in the sense that this transition from making things to buying things that were made elsewhere took me to a great many countries that otherwise may not have found there way into my passport. Romania, Bulgaria, Turkey, Dubai, Morocco, Bangladesh, Indonesia, Hong Kong and China all saw me arrive and depart on a regular basis. For a time, especially the years I was single, it was an interesting existence; even through the times I wasn’t particularly active birding in Britain I found there was always space for my trusty Leicas in the luggage, however light I was travelling. Any free time in these places was generally spent wandering about birding; an hour snatched before breakfast; two hours before a flight home in a chauffeur-driven search for Brahminy Kite; a roadside leg stretch stop conveniently next to a promising wetland or by a White Stork topped telegraph pole; I squeezed my itinerary’s and sated my birding desires on the foreign and unfamiliar. Every trip provided something; Black Kites from a Kowloon high-rise hotel or Syrian Woodpecker in a tiny city centre park in Bucharest, I always managed to find some time for a little birding whilst ‘on business’. These trips became a kind of release from the long hours working culture and the increasing responsibilities my rise up the career ladder was dumping on my shoulders. As a single parent for some of this period though, the frequent absences from my son weighed heavy.By the time I’d got back into another long-term relationship and had a second son I was looking for a way out. I bought a small business in a pretty seaside village 20 miles along the coast from our home and for five years worked hard; the flexibility of self-employment was useful and I found myself carrying optics in the car, able to go for an estuary side walk at lunchtime and even managed the odd good find when I turned up a juvenile Citrine Wagtail on the local golf course. Four years ago we found out we were having twins and after the initial shock realised that our household costs were set to soar and working self-employed in a business that whilst it covered our bills didn’t leave a huge amount spare I knew something had to give. At the back of my mind was also the prospect of once again becoming a dormant birder, stumbling through long periods of work with an occasional glance out of the window (if I was lucky enough to have one) at a passing gull providing the only ornithological fix of the day. It wasn’t enough. So I did what to me was the obvious thing, try to find a way to turn what I wanted to do into an activity that also paid the bills. From the offset I should say I was lucky that the sale of the business created a window of opportunity where we were not wholly reliant on my income, or lack of it as the case may be. I realised that I might have to put together a portfolio of activities, none of which on their own would be enough to keep the wolf from the door but thrown together as a package may just about do enough to convince my wife that this working in birding wasn’t just an excuse to go birding whilst she did all the work. So this whole post, the retrospective on how I got ‘here’, here being the point where I now take my kids birding a couple of days a week, work several days a month for the best bird news provider in Britain & Ireland as well as occasionally doing the odd environmental survey or writing gig is a just a vehicle to tell you about another piece of the puzzle that has dropped into place in recent days. 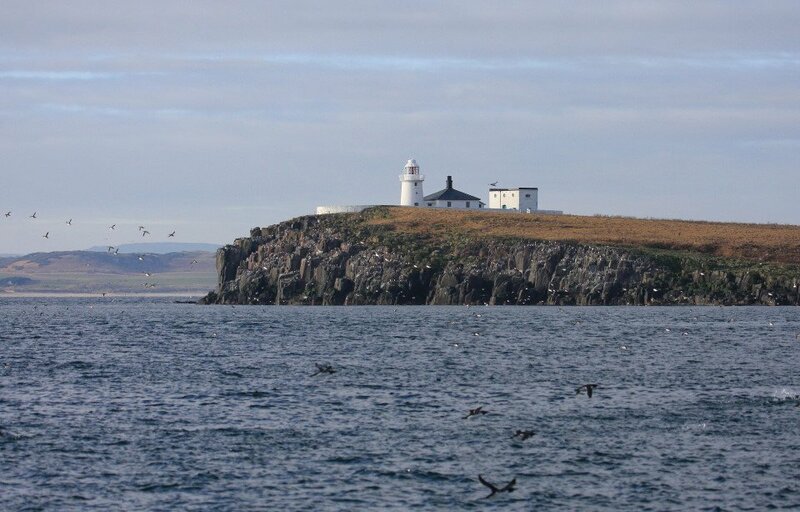 I’ve been working with a local company who ferry birders and tourists out to The Farne Islands, a huge mixed seabird colony a couple of miles offshore here in North Northumberland, it’s an incredible location and one I plan to blog about here in a future post to share it with 10,000 Birds readers who may have not yet sampled the delights of large amounts of guano and walking around with a Tern pecking at your head. Over the past few weeks we have developed a new tour offer called Water, Wildlife & Walking that will see us take groups first by sea via a spectacular castle topped seabird crag, followed by a full day’s guided birdwatching hike back to the departure point across some of Northumberland’s unspoilt beaches, coastal habitat and some great birding locations. It’s my first foray into guiding and offers a real mix of sea, coast and walking that’s going to be an exciting challenge and something I’m sure I’ll be writing more about in the future. The new tour sounds great! We are watching the TV series “COAST” and really enjoying it as they travel around the coast of the UK. Looks like an amazing place where you can take amazing pictures.